Zenith Defy El Primero 21 Full Open Automatic Chronograph Titanium Case Skeletonised Blue Dial Watch 95.9002.9004/78.R584. El Primero watches from Zenith tell the story of the company’s successful heritage through their sleek designs and beautiful craftsmanship. The watch which originally launched in 1969 marked the company’s centenary year and was the first ever automatic chronograph watch. Each timepiece from this special collection is developed in-house from start to finish – a concept created by the company founder who envisaged the manufacturing facilities of Zenith watches to house every craftsman, goldsmith, technician and artisan designer under one roof. Whilst some of the watches are equipped with a tourbillon feature for enhancing the watch’s reliability and performance, others are crafted from luxurious rose gold or feature a skeletonized dial for exposing a slice of Zenith’s expert manufacture though the front of the watch. This sophisticated gent’s wristwatch from Zenith’s El Primero watch collection features a broad 44mm stainless steel bezel equipped with a push piece at 2 and 4 o’clock for facilitating ease of handling over the chronograph features. The counters, offering 30 minutes and 60 seconds, join a useful power reserve indicator highlighted in red accents at the top of the dial, as well as a small seconds counter at 9 o’clock. The open-worked dial offers the gentleman a glance though to Zenith’s finest craftsmanship. The independently manufactured El Primero 9004 automatic movement is put on show through the front of the dial. 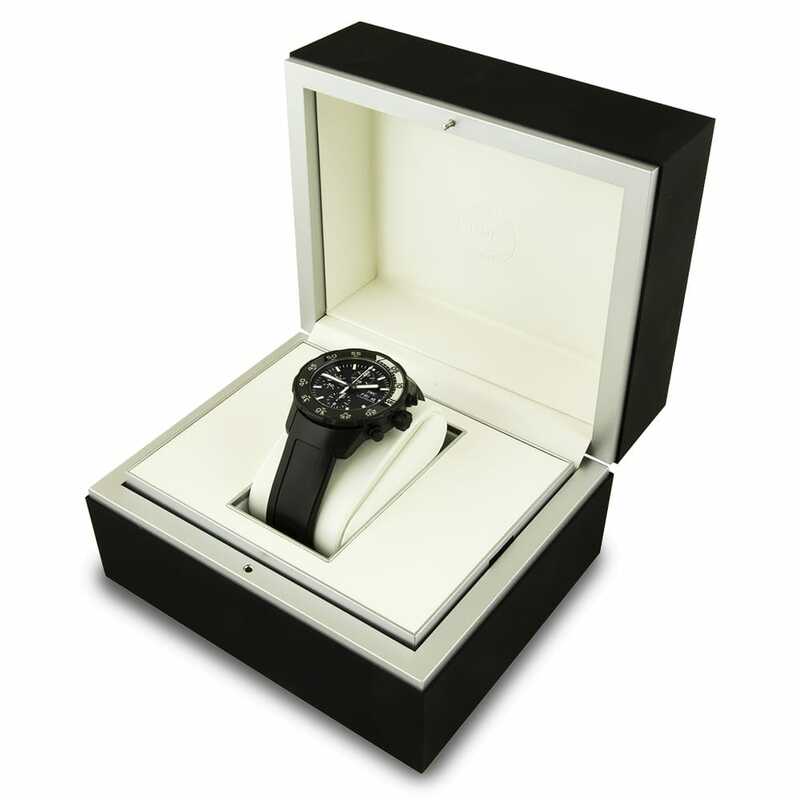 It promises an impressive 50 hour power reserve and comprises a total of 293 individual hand assembled components. This 100 meter water resistant Zenith Defy El primero 21 watch is completed on a smart black rubber strap with blue alligator leather coating and a refined titanium double folding clasp for easy dressing on and off the wrist.